The hepatoprotective and antioxidant activity of Pelargonium graveolens ethanol extract (PGE) against CCl4-induced liver injury was investigated in mice. The treatment of intoxicated mice with PGE (500 and 1000 mg/kg/day p.o for 6 weeks) significantly inhibited the CCl4-induced increase in alanine aminotransferase (by 37 and 43 %, at the tested doses, respectively), aspartate aminotransferase (by 33 and 35 %), alkaline phosphatase (by 26 and 33 %), and malondialdehyde levels (by 34 and 51 %). Moreover, PGE treatment markedly increased the activity of antioxidant enzymes (superoxide dismutase, glutathione peroxidase, glutathione reductase, and glutathione-S-transferase), as well as the level of reduced glutathione. A marked amelioration of the inflammatory cell infiltration and hydropic degeneration was evident in the groups treated with PGE. Notably, treatment with PGE reduced the central vein congestion more than in the silymarin-treated group. 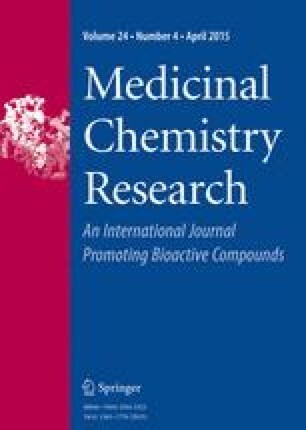 PGE was as effective as silymarin in reducing the fatty changes, Kupffer cell hyperplasia, and necrosis induced by CCl4 intoxication. These results suggest that a dietary supplement of PGE could exert a beneficial effect against oxidative stress and various liver diseases by enhancing the antioxidant defense status, reducing lipid peroxidation and protecting against the pathological changes of the liver. The hepatoprotective activity of PGE is mediated, at least in part, by the antioxidant effect of its constituents. The active constituents of PGE were identified by HPLC–PDA–ESI/MS/MS. The online version of this article (doi: 10.1007/s00044-014-1218-3) contains supplementary material, which is available to authorized users. Professor Juha-Pekka Salminen, department of chemistry, university of Turku, Finland is acknowledged for the use of the HPLC–MS instrument during this study.